Jonathan is Assistant Professor of Economics at the University of Toronto. His research primarily focuses on applied microeconomics, on behavioral economics, and on the emerging field of “genoeconomics” (which combines insights and methods from both economics and genetics to find genetic variants associated with economic preferences and outcomes and tackle questions of interest to both fields). He is a core researcher of the Social Science Genetic Association Consortium (SSGAC). 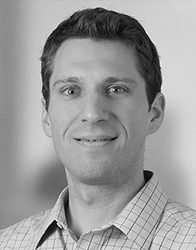 Prior to joining the University of Toronto, Jonathan was a Postdoctoral Researcher in the Department of Economics at Harvard University and with the SSGAC. Jonathan completed a PhD in Economics at Harvard University in 2011, where he was a Trudeau Scholar. His doctoral work employed a multidisciplinary approach, importing insights from genetics, neuroscience, and psychology to study questions of interest to economists, such as human capital formation, the determinants of economic outcomes, and the effect of cognitive biases on economic choices. During his doctorate, Jonathan also spent a semester at Princeton University working on a project in neuroeconomics. Jonathan holds a Bachelor’s degree in Mathematics and a Master’s degree in Economics from Queen’s University. Between his doctorate and his postdoc, Jonathan worked for the management consulting firm McKinsey & Company and as an economist in the Monetary and Capital Markets Department at the International Monetary Fund in Washington, DC.